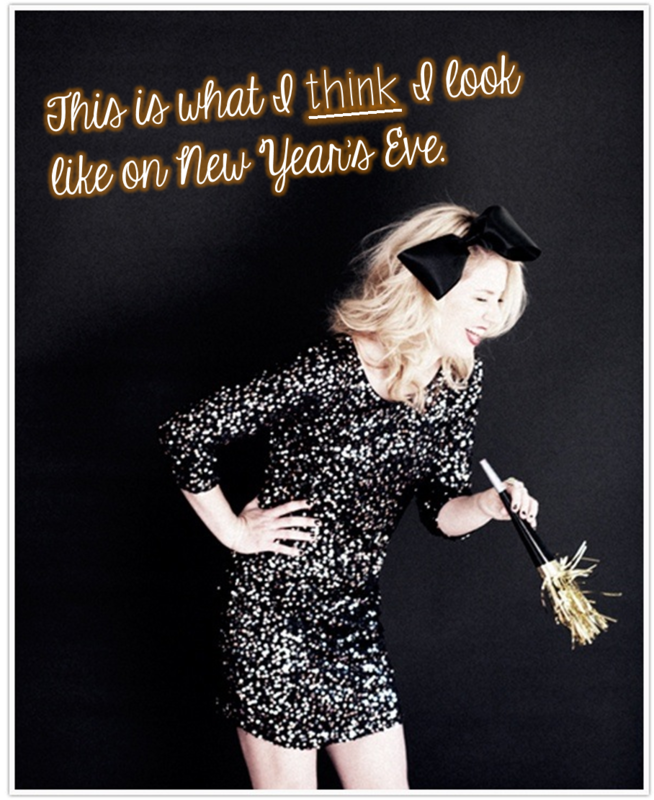 Hope you're out and about getting your sparkly things ready for tomorrow night! I love New Year's Eve, and even though I grew up 15 minutes away from NYC, I've never been to Times Square to see the ball drop. I'm much happier in somebody's living room with my glass of champagne, my tiara, and my noisemaker. And possibly my slippers. This has been a pretty great year for Everyone deServes to Learn; I opened a TPT store, started a blog, joined Pinterest, figured out the buttons on Instagram, and made friends with some of the coolest, smartest teachers around the world. 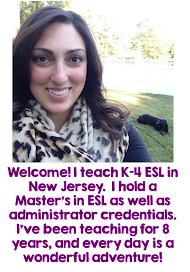 I'm so honored that the units I make for my own students are being used in classrooms across the United States, and that the information I have to share about ESL in New Jersey might be useful to teachers everywhere. Here were the top three posts of 2013! We made it to Christmas! Boy, did that go by fast or what? December is a big month for our little school- lots of goings on. 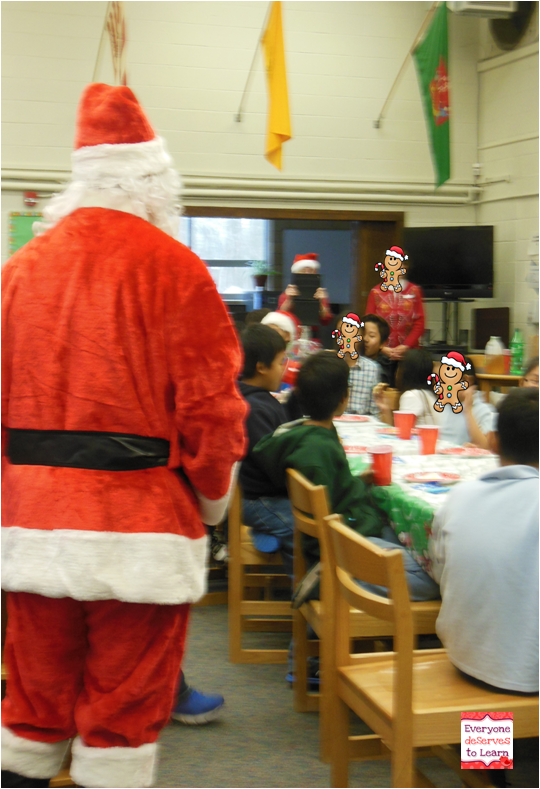 One of the biggest things that happens is the annual ESL Christmas party, which my teammate and I organize for our students. 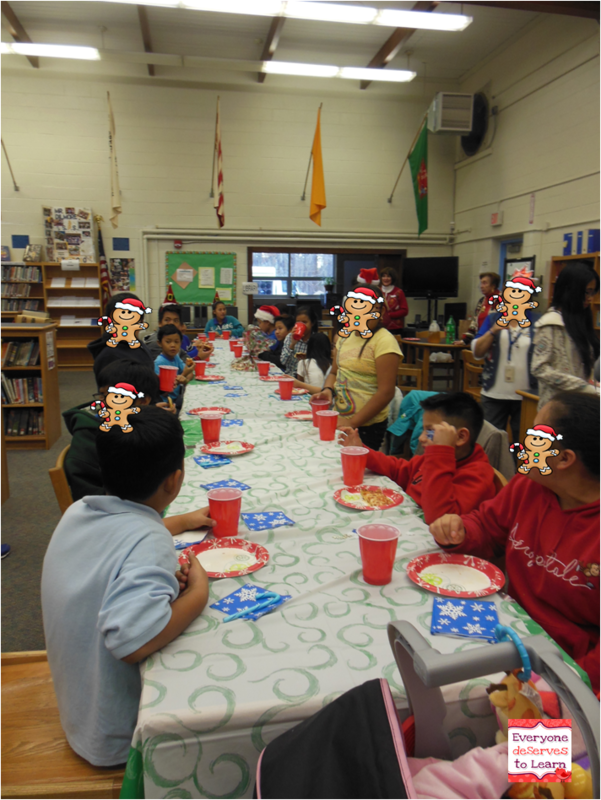 We started this party last year, when we realized that we were teaching "Christmas Around the World" but many of our students had never had Christmas themselves. So we decided to give them a good American Christmas. 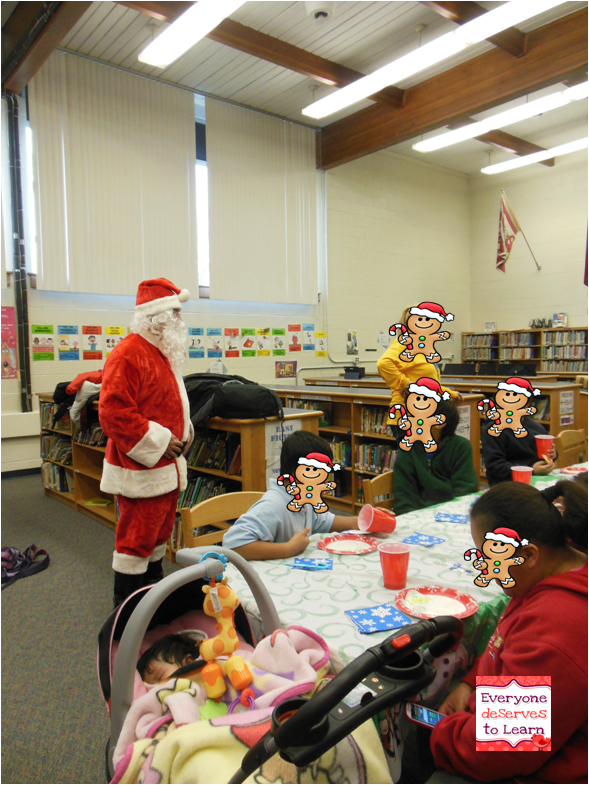 The party and was such a success that we had to do it again, especially with the newcomers we have- they were so excited to learn about Christmas in America! Here are some of the highlights, aka the only pictures I was able to take! 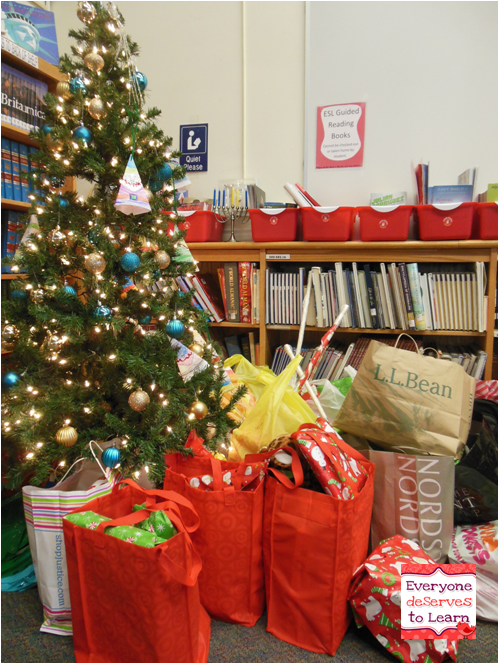 20 bags full of gifts, my old Christmas tree, and blue and gold ornaments (our school colors). We set up the tables in our library "family style" and it works out great! 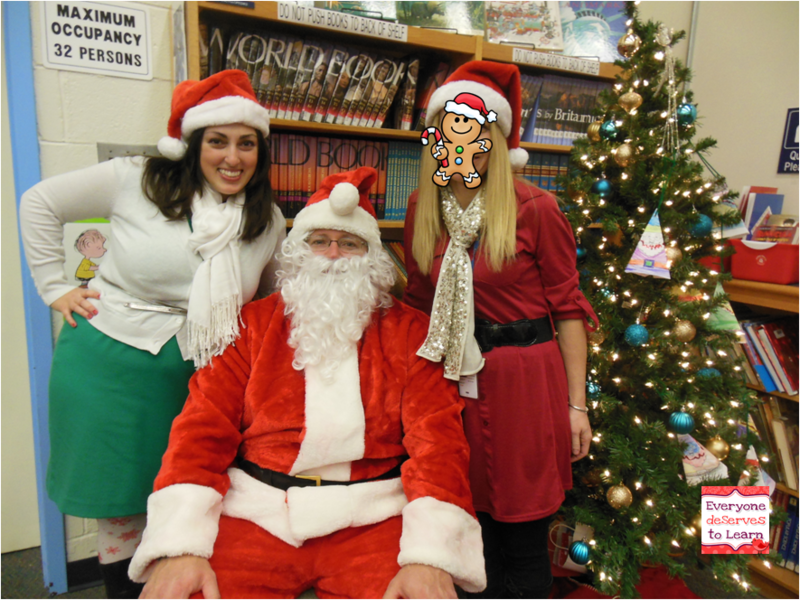 The big man in red came to see us! The kids had their mouths full of pizza and didn't know what to do - cheer or keep eating!! Santa handed out the bags of gifts to the kids, then posed for pictures. We'll print them out for the kids when we get back to school. Here's my teammate and I, exhausted but happy from all the successful party planning! We're headed up to see our families Christmas Eve and Christmas Day, but I wanted to leave you with a little recipe that my mom and I have been making for a long time. 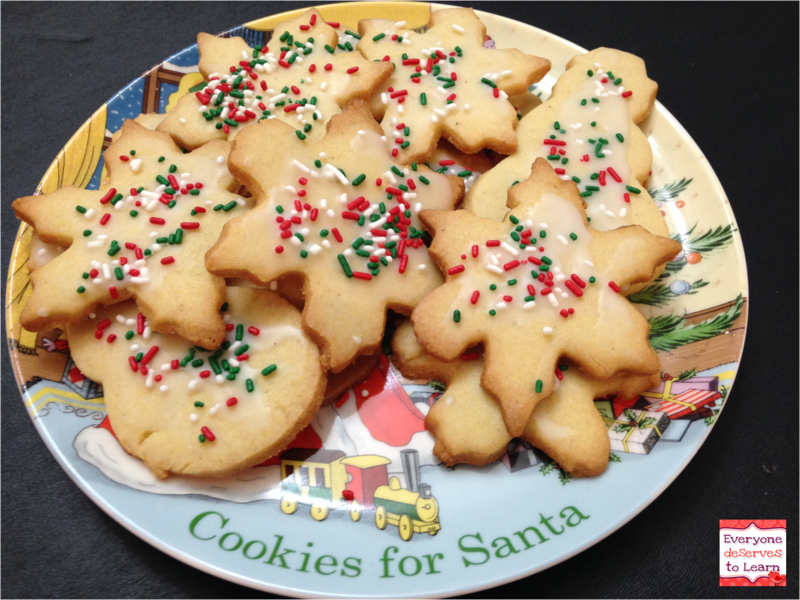 They are so easy to put together and I like them better than the traditional sugar cookies- they're great to dunk in tea or coffee! I packed up a few bags for my neighbors- I know they'll love them. Source unknown...my mom cut it out of a newspaper a long time ago. Preheat oven to 350 degrees F and grease two baking sheets. In a medium bowl, mix flour, cornmeal, baking powder and salt together and set aside. In another bowl, cream butter and sugar together, then add the egg and the vanilla. Add the dry ingredients to the wet ingredients, and mix until a ball of dough forms. Your dough may be crumbly at first- just keep mixing! You can drop by teaspoons as-is onto the cookie sheets, but for roll-out cookies, pat into two discs, wrap with Saran, and refrigerate for a few hours. Roll out using just a little flour. Bake for 10-12 minutes, depending on how crispy you like your cookies! Let cool for 5 minutes on the baking sheet, then transfer to a wire rack to cool completely. Mix powdered sugar and water together until desired consistency is formed. Spoon over cookies and drop sprinkles on top. Buon Natale! Joyeux Noel! Feliz Navidad! I'm off to spend Christmas with my family, and hope you have a very merry one! It's Christmas time! Here are some fun Christmas facts about me. Scroll down to see some of my favorite Christmas products! 1. Hot Chocolate or Eggnog? Both! I can drink hot chocolate through the winter, though, while I feel eggnog is really only for Thanksgiving-New Year's. When I was little it depended how much time Santa had. The weeks leading up to Christmas were busy! Now Santa wraps. We don't have children but I imagine it will be the same. 3. Colored or white lights? White. I like the idea of colored but just think it's too much for me- I like to go simple. 4. When do you decorate? The first week in December- usually between the 5th and the 10th is when I try to have the tree up. We have no lights outside our house this year because it snowed the day we were going to put them out so I'm not sure if we will have lights out this year. Fake. I've never had a real one- apparently you have to water them? Too much work! I can barely keep myself fed. This year, a red bow. Last year, some Martha Stewart creation that was expensive but this year doesn't fit between the tree and the ceiling, and the year before that, an acrylic Santa hat! I mentioned it in my Currently: we do a huge Christmas Eve party and that is my favorite memory and tradition. I also love to watch Christmas movies while I decorate the tree- I have certain ones that I absolutely MUST watch and may or may not have somewhat borrowed the very old Christmas specials from the internet. A 101 Dalmatians doll that I had wanted so bad. I remember screaming like the kids on the youtube videos when I saw it. Now that I have students who need so much, I would just give and give and give. But I do love sparkly things. Oh yeah! Especially in hot chocolate! I have a computer file of about 12 that I go through like clockwork every December. I'm going to have to go with Elf, though...it just cheers me up. I do a healthy mix. I did a lot this year on Black Friday but then just spent a good chunk of time this week doing some after-school shopping. I do like to get out and actually see what I'm getting. I LOVE getting Christmas cards. My mom got me the cutest silver tree holder- it's adorable. Anyways...I like to send photo cards but we haven't taken a nice picture in a while so I don't know if that's happening. I bought cards from the store just to have that say "Keep Calm and Jingle All the Way" I might send those out just because I like to look at them! And now for fun products!!! Click on the picture to go to the download. 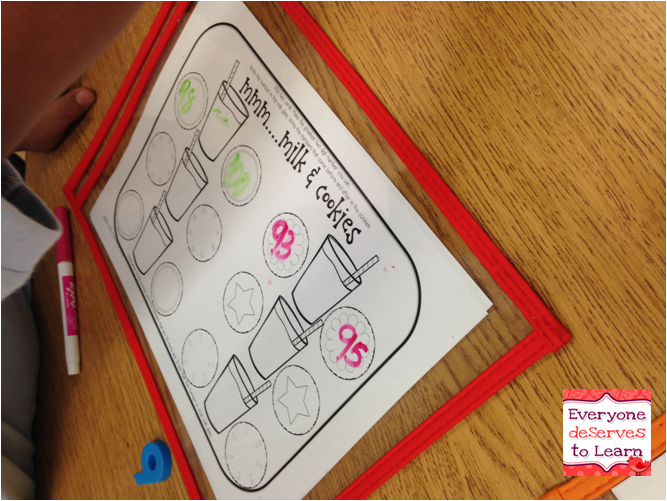 We are working on measurement in newcomer class so I whipped this up- it's a quick and fun activity you can use as an assessment or activity. 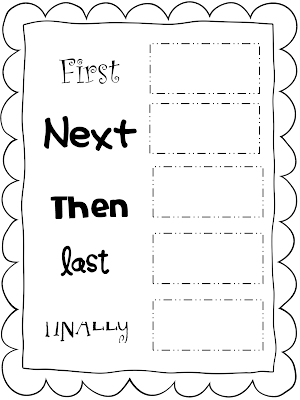 The next one is an emergent reader. My teaching partner said, "You're making another one?!" I said, "Yes! 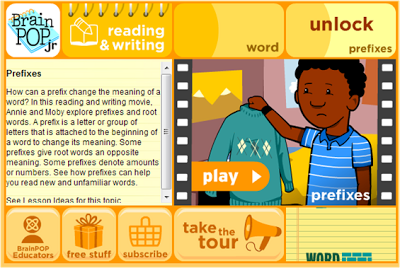 They are learning vocabulary AND reading! 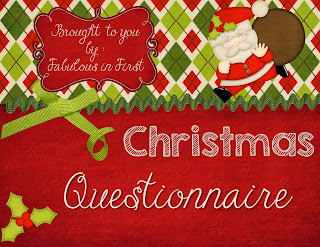 Plus, I like the clipart"
I hope you can use one of these- leave me some Christmas love and good cheer if you can! 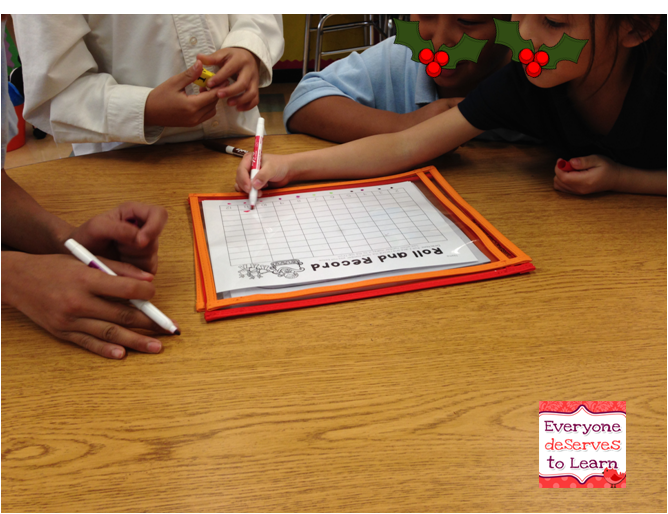 Do your students love QR codes? Mine do! We haven't had much of a chance to do them in class- we are so busy trying to fit it all in (can I get an Amen?). 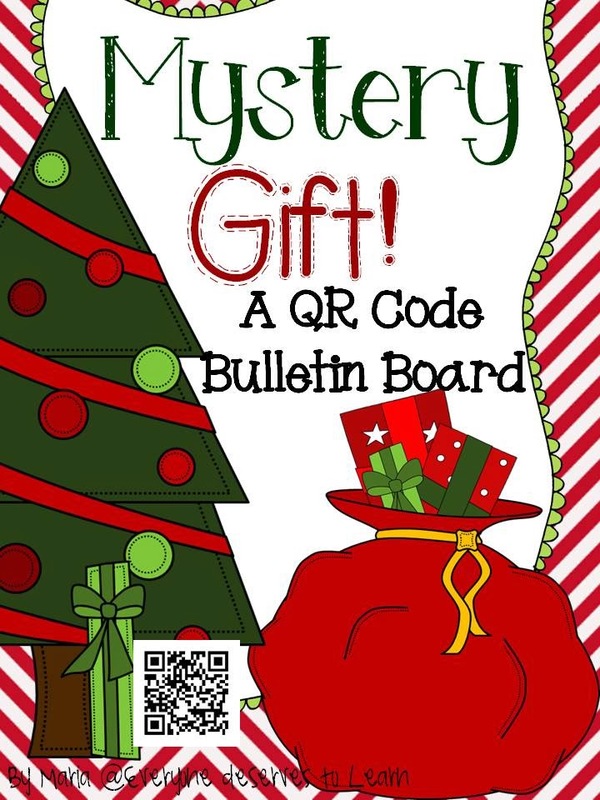 On top of not having enough time to make and put up a fancy-shmancy bulletin board like some teachers I know, I decided to make a QR code BB that would be cute, interactive, and cover some reading skills! Click the pictures to check it out. Before I show you one of our dinners this week, you need to watch this video...it was an inside joke between my husband and I for like, 6 days after we ate this! Season the lamb chops with salt and pepper (I use Papa Joe's). Set up two skillets- one medium and one large, both over medium heat. Drizzle in the EVOO and add the chops in each pan. Allow a crust to form (about 4 minutes) then turn. Chops should be about 125 degrees F. Move chops out of smaller pan and into larger pan, stand all on their sides to they brown evenly for two minutes more. Remove from heat and cover. In smaller pan, drain almost all the fat from the skillet, then add the garlic and cook until golden and fragrant. Add wine and rosemary, stirring up browned bits, for about 4 minutes. Add the chicken broth and reduce by half. Remove from heat and whisk in butter, then whisk in mustard and milk. 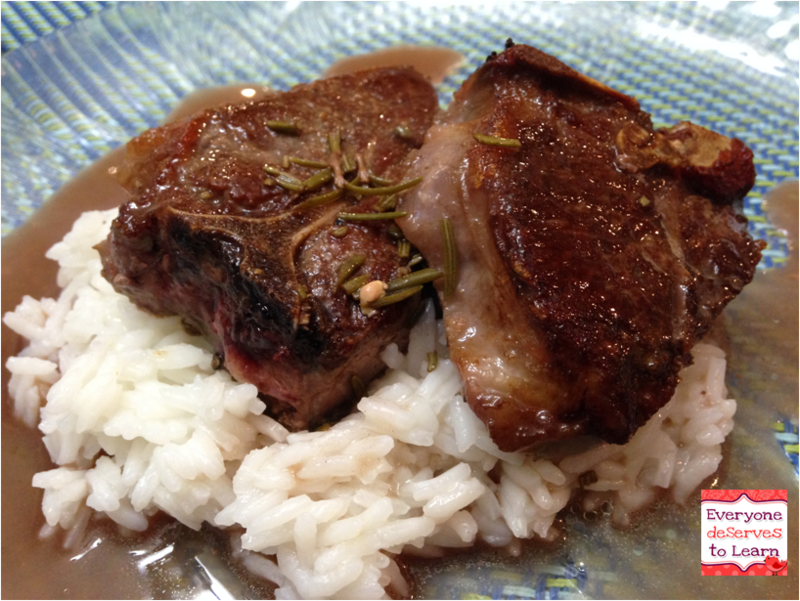 Serve immediately over lamb chops. Prepare cake as directed on the box- remember to leave out the oil. In a large bowl, beat mascarpone cheese, butter, cocoa powder, milk, and vanilla until creamy. Add powdered sugar until smooth. Add more milk as needed to reach desired consistency. 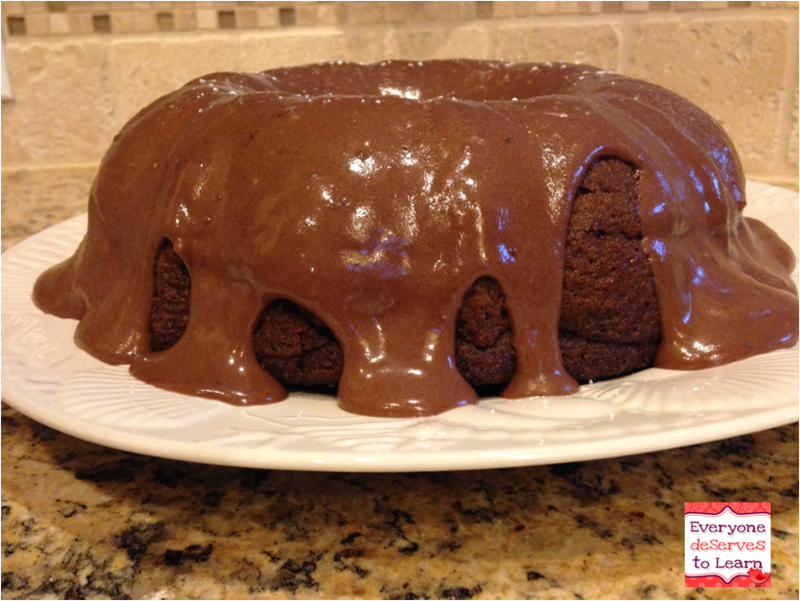 Spoon over cake, allow to drip down beautifully! Devour. There you have it, folks. A post that has left me starving. Why do I do this to myself?! 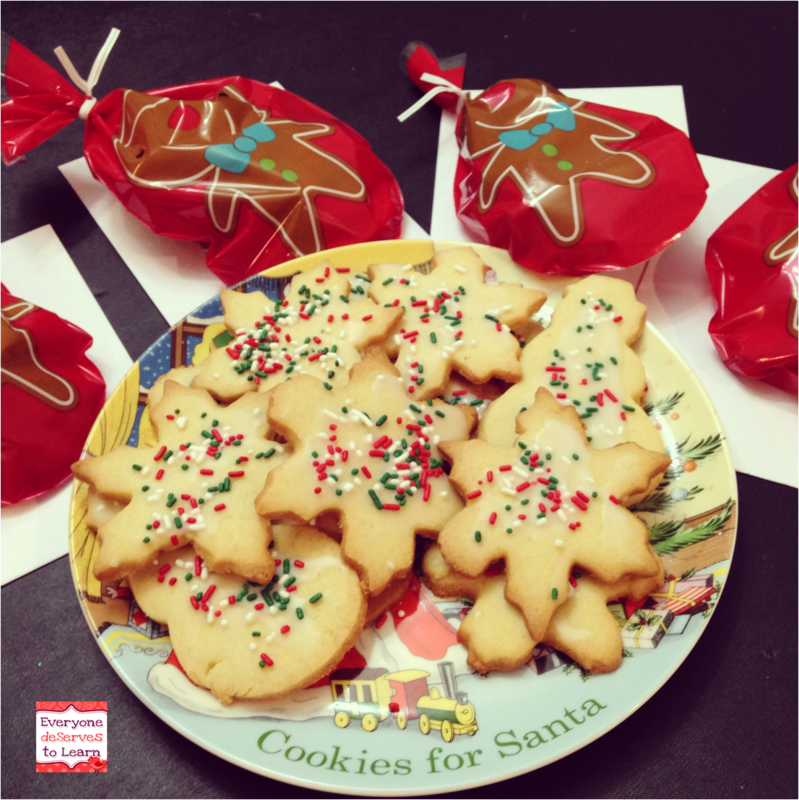 Now to see what I can scrounge up in the kitchen...perhaps Christmas cookies? Here's a funny to make you smile: I had my back to the class and was writing on the board and one of my students was raising his hand. He said, "Mrs. M-C, I have a question." I said, "Ok, honey, what is it?" He said, "No...my name is Sam." I had to sit down I was laughing so hard! 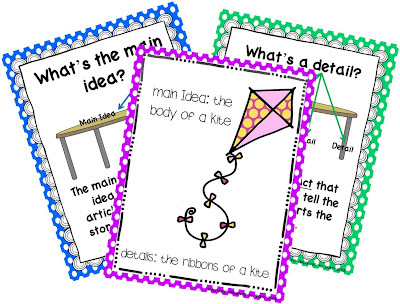 Here we are working on some of our favorite centers from A Burst of First. Their English is still very limited, but it is amazing how much they have picked up in just three months. Three out of four can speak to me in 3 word sentences from memorized language, and four out of four can read sight word sentences! Yes!! ...and a few more as well! 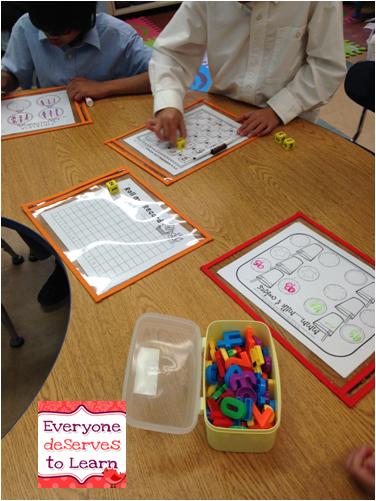 It's my first foray into making math games, and my students are loving them. Hip Hip Hooray for December! I'm linking up with Farley for this month's currently- check it out! 1. We moved in on September 7. We had no mail until October 12. We still don't have a place to store the mail that comes in the door. All the mail ends up in a pile until someone decides to open it, several days later. Clearly, we need a better system. 2. You know the movie with Danny DeVito and Matthew Broderick, where they have a Christmas decoration competition? I can sense that starting to happen with my husband and the guy across the street. His house looks like it belongs in Better Homes and Gardens. We need to step up our game! 3. So, my amazing father-in-law renovated our downstairs for us. It looks beautiful! Today we brought our couch (that was upstairs until reno was over) downstairs, so now our upstairs living room is empty. Houzz, here I come! 4. Now that we have a gorgeous family room to hang out in, I am itching to use our fireplace. Except I've never had one before, so I know nothing about them. Apparently some wood is better than others. Is there a fireplace for dummies book? 5. See 3 and 4. Reno = dust. I can deal with clutter but I cannot deal with dust. I will gladly pay whatever is needed for someone to come and un-dust my house. 6. I love Christmas Eve. My nanny makes crisps, which are similar to zeppoles, but without the sugar. For non-Italians, they are fried balls of dough that are amazing and addicting. Anyway! On Christmas Eve everyone brings a gift (sometimes $25, this year is more- oh boy!!) and puts it in a pile. 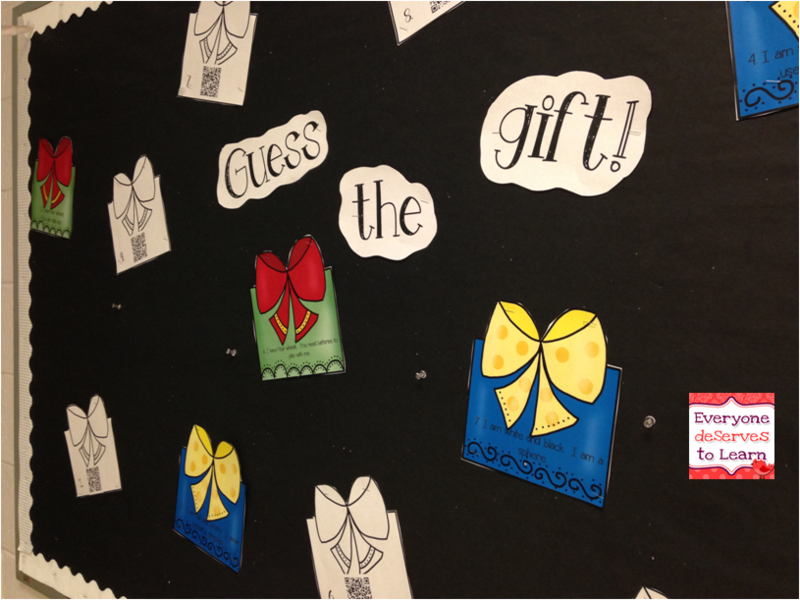 We draw numbers and whoever goes first picks a gift, then number two has the chance to steal or pick. If number two steals, number one gets to pick again. You would think we hate each other from all the screaming going on in my aunt's basement...but we are actually a very loving, very loud, very happy Italian family!